Happy New Year's Eve, radio friends. I received this note from Cathryn Beeks and wanted to share it here. Thanks Cathryn, I appreciate your kind words! I just wanted to send well wishes and a salute to our San Diego broadcasters and a big thanks to Joe for all of his hard, important work. May you all stay healthy and happy in 2015. In July of this year I had the opportunity to interview Jim McInnes, George Varga and Jack Tempchin all at one time for a 4 part series I did during my time on terrestrial radio. 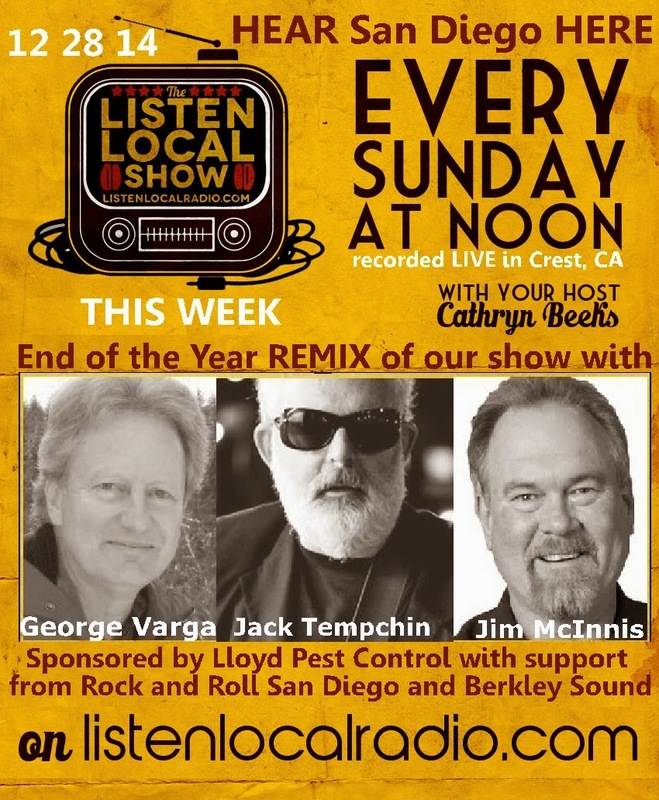 I've re edited the shows down to 2 interesting/entertaining hours with these San Diego legends for my new internet radio show The Listen Local Show on ListenLocalRadio.com.